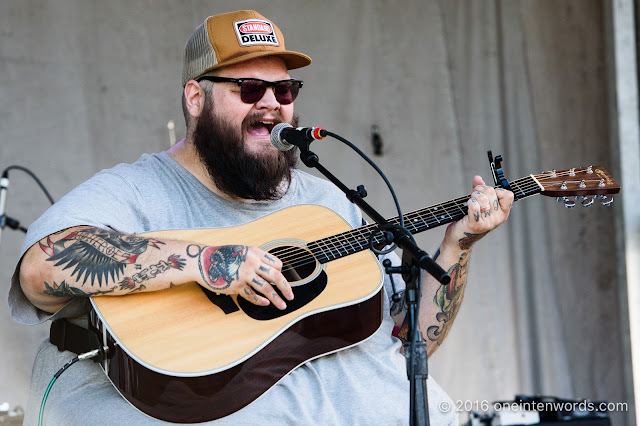 Tulsa, Oklahoma based singer songwriter John Moreland was the first act to perform on the new Rebellion stage at The Toronto Urban Roots Festival at Toronto's Fort York Garrison Common. 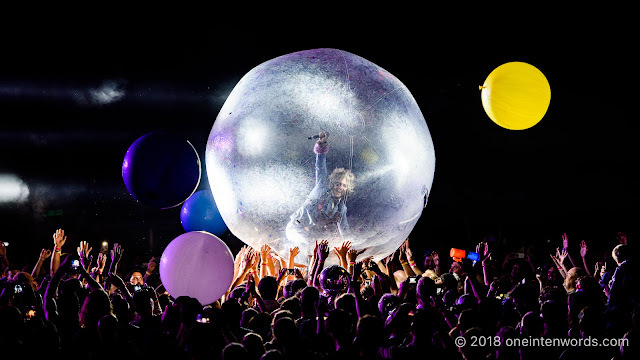 His intimate and emotional songs were tonic to my ears and heart, and his performance was a definite festival highlight for me. 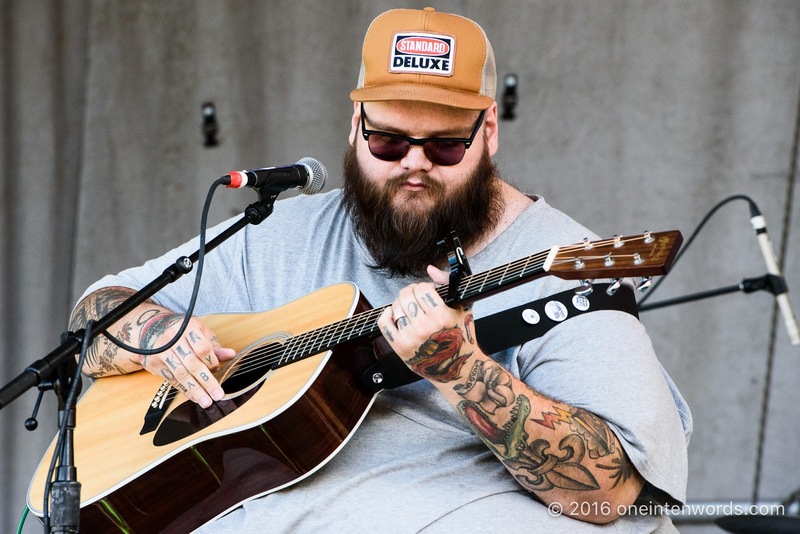 Being introduced to a wonderful artist like John Moreland is my favourite thing about TURF. I loved listening to Moreland's full and passionate voice and dynamic guitar playing. His songs feature amazing, heart-wrenching stories and vivid lyrics. The emotion drips from his songs. He's the kind of singer songwriter I could listen to all day. "Hang Me in the Tulsa County Stars"
"You Don't Care for Me Enough to Cry"
"American Flags In Black & White"
"Nobody Gives a Damn About Songs Anymore"
I don't think he played this tune, but it's so beautiful. "Break My Heart Sweetly" on Colbert.